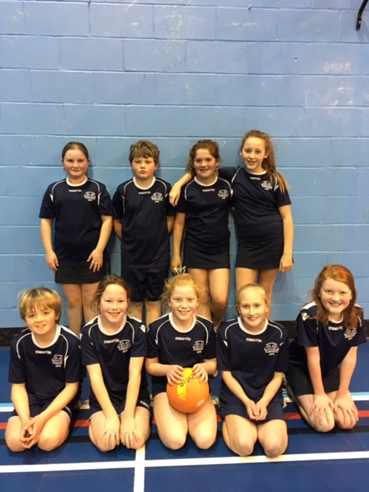 We would like to say a very big 'Well done' to our netball team for finishing in fourth place in the South Devon Area Finals on 8th February. Emma, Freya, Niamh, Rosie, Charlotte, Jessie, Ted, Charlie and Reuben all played brilliantly to finish as overall winners in their qualifying rounds and narrowly missed out on third place overall after a very tough last match. A big thank you must go to Mrs Sarah Cadle, our netball coach, for all of her help and support.